Attending trade shows can sometimes be more like work than we’d like. It does require careful preparation, from optimizing your travel arrival time to knowing the lay of the land from your hotel room. If you’re a rookie, you might be excited and a little overwhelmed. 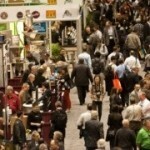 The key to optimizing your trade show experience is defining your role, and deciding what the priorities are - for you. Before the show, make a list of goals that you want to achieve. This should include both organizational and personal objectives. Be sure and read through all the trade show promotional materials first, and do your homework on the vendors. Trade shows are the ideal place to gather information about your vendors and suppliers. Contact the main exhibitors you want to speak to ahead of time, and let them know that you are on a tight schedule while at the show. Most of them will want to make the best of your time, as well as theirs. 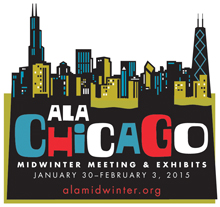 Most larger tradeshows like ALA Midwinter and ALA Annual provide a list of sessions and seminars, which are posted long ahead of the show dates, on their websites. 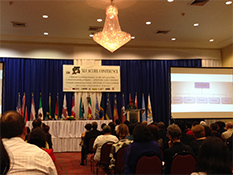 Take notes on all of the events, sessions, and seminars that are pertinent to your role. Some shows offer apps or online organizers that easily help you plug in the days and times of each event. Pack some business cards – yes, people still use them! Register ahead of time. Once you get to the show, you won’t want to waste time standing in line to get in. On the show floor, look around and take home some giveaways that your organization might use in the future. But don’t be grabby (see the rookie link above); it’s unprofessional, and weighs down your suitcase. Make sure you get to any pre-arranged meetings on time. Be sure to ask your vendor reps about new product releases, special promotions, or fresh marketing initiatives available during the show or just after. This is also a great time to network with your colleagues and counterparts, so make some time to attend the “after hours” member events and vendor-sponsored parties. Not all of the fun is inside the convention center - don’t forget to build in some time to be a tourist! Hit up a local restaurant for a good meal, or tour a landmark or historic site. One of the best tips experience trade show attendees know is this: Be sure to follow up on anything you promised to send or check on. Building relationships with vendors and fellow librarians is the best way to keep your career going in the direction you envision.